An expansion of Dublin’s public bicycle sharing system, DublinBikes, seems to be on tract to be finished by July as expected. In recent days, new stations have opened in Dublin 8 and Dublin 7. The four new stations are on: John Street West, Oliver Bond Street, Eccles Street East and Blackhall Place. 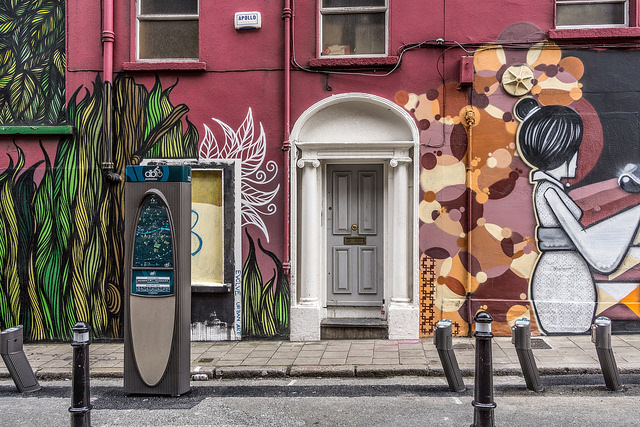 John Street West is off Thomas Street; nearby is another staion on the corner of Oliver Bond Street and Bridgefoot Street; the Blackhall Place station is just south of Stoneybatter; and the Eccles Street East is beside the Mater Private Hospital. The stations at Blackhall Place and Oliver Bond Street represent the most western locations to go live so-far on the northside and southside, respectively. Stations at locations such as Heuston and Jervis Street have been installed but are awaiting activation. KEY: Red markers = stations to be opened; green bicycles = live stations; blue markers = landmarks.